Metal Madness is a fast-paced, action-packed game which combines shooter style gameplay with car racing gameplay. If you’re curious, continue reading to find out why you should download Metal Madness for PC today. In Metal Madness you’ll take part in death races against real-life players, who you’ll be able to shoot with a wide variety of weapons. Examples of which include flame flowers, bombs, guns, rocket launchers, and sniper rifles. 1. 12 Different styles of vehicles to choose from. If you assumed that you’d be stuck driving race cars think again. 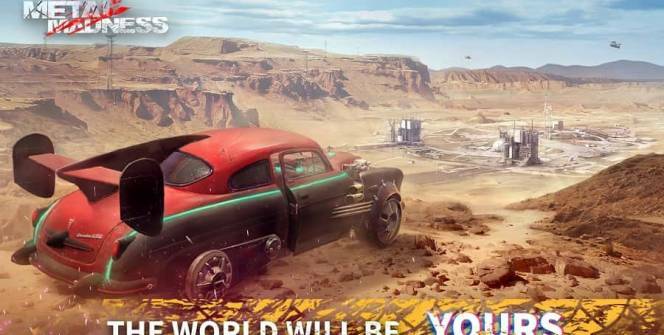 Some of the vehicle options which you’ll get to choose from include massive armored tanks, stylish retro cars, and monster trucks. All of which offer different advantages. If you grow tired of playing single player mode, you’ll be able to join forces with your friends in order to take on teams from the around the world. Alternatively, you can also form a team with strangers, if you don’t have any friends who play Metal Madness. To increase your chances of making it to the end of a race without having your vehicle totaled, it’s a wise idea to customize your vehicle with heavy duty armor. In order to decrease the effect that your opponents’ weapons will cause in your next race. 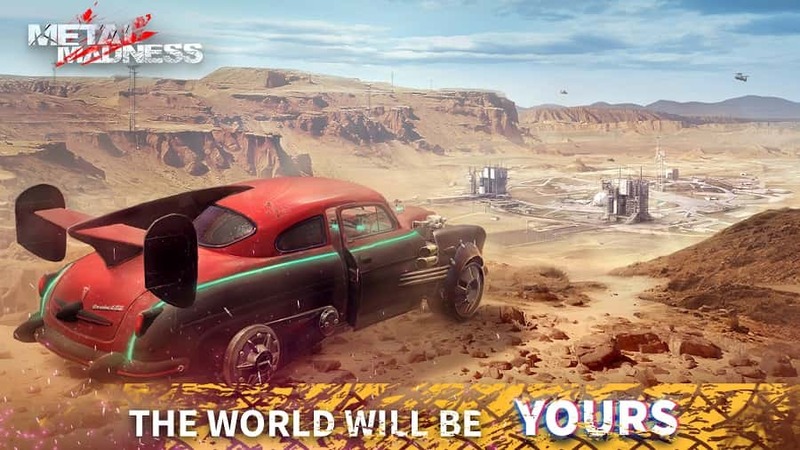 As a bonus, if you equip your car with suitable armor you’ll also be able to ram your opponents to cause a great deal of damage, without wrecking your own vehicle. 4. A wide variety of party style game modes. Metal Madness features a wide variety of party style game modes. As an example, in one team mode, you’ll be tasked with snatching as many resources as you can from rival teams. By working together as a cohesive team who has a strategy in place. 5. Multiple different battle arenas to choose from. In one race you may battle your opponents to the death in an apocalyptic city, while in the next race you may face your enemies in the scorching hot desert. If you play Metal Madness on a daily basis, you’ll be tasked with completing challenging daily quests, which offer lucrative rewards. So it’s well worth logging on to Metal Madness on a daily basis, to see what prizes you can win. 7. No energy levels to worry about. If you’re sick of playing games, which limit how many matches you can take on each day, you may just have found the perfect game. As Metal Madness doesn’t feature restrictive energy levels so you’ll be able to race as many times as you’d like, at any given point in time. 8. Easy to learn controls. Within 5 minutes you should have mastered Metal Madness’ controls, which makes it a fun game to start playing. As you won’t have to worry about facing a steep learning curve. Metal Madness offers high-definition graphics, that make playing it an enjoyable experience. 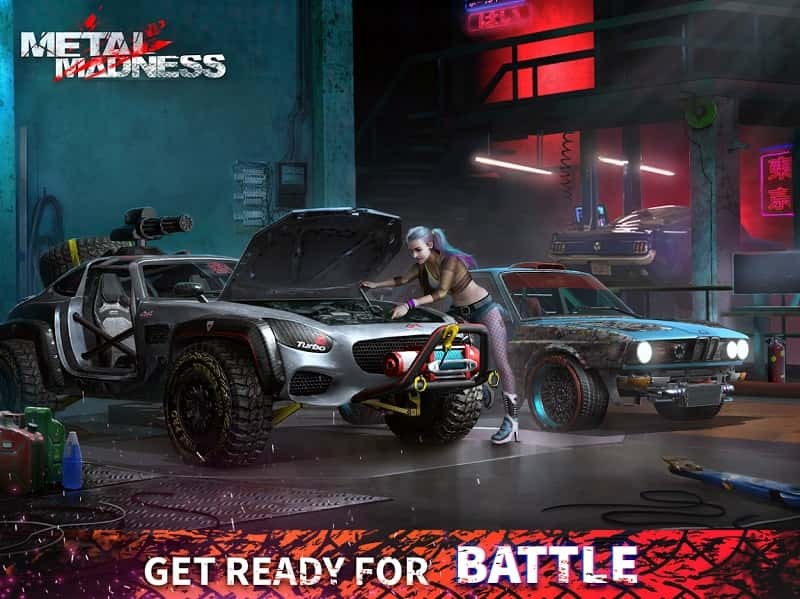 So if you love shooter style games and racing style games, it’s well worth trying out Metal Madness for yourself as it offers such innovative, addictive gameplay. Sometimes when playing Metal Madness: PvP Shooter, bluestacks ask you fee to pay but gives you option to download some apps. Every time it asks you just select “Install apps” and continue using it free. I hope you enjoyed this article, please rate and share. If you have problems running Metal Madness on your desktop or any other issues, leave a comment below.